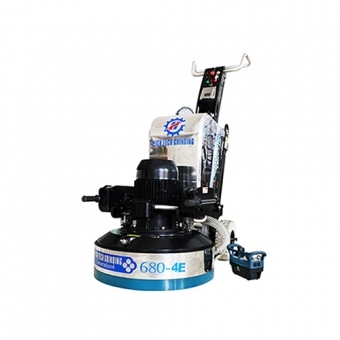 700HP is a high speed polisher for industrial and architectural application. 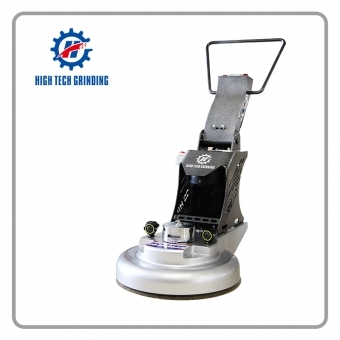 It is used after the surface preparation for fine polishing like concrete, stone, wood, etc.High speed polisher HTG-700HP is designed for polishing specially. The main shape is a cast aluminum box and a sheet metal box. 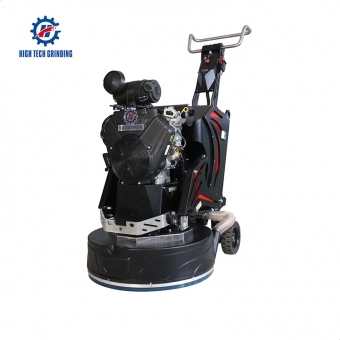 There is a built-in integrated motor which narrow the weight and space of the machine (For voltage with 220V, the machine will have inverter box. 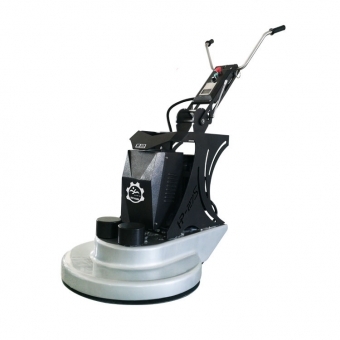 The casters rotate very freely and helps the control of machine. There will be a perfect ending in 2018, and the floor workers will welcome their new year 2019. 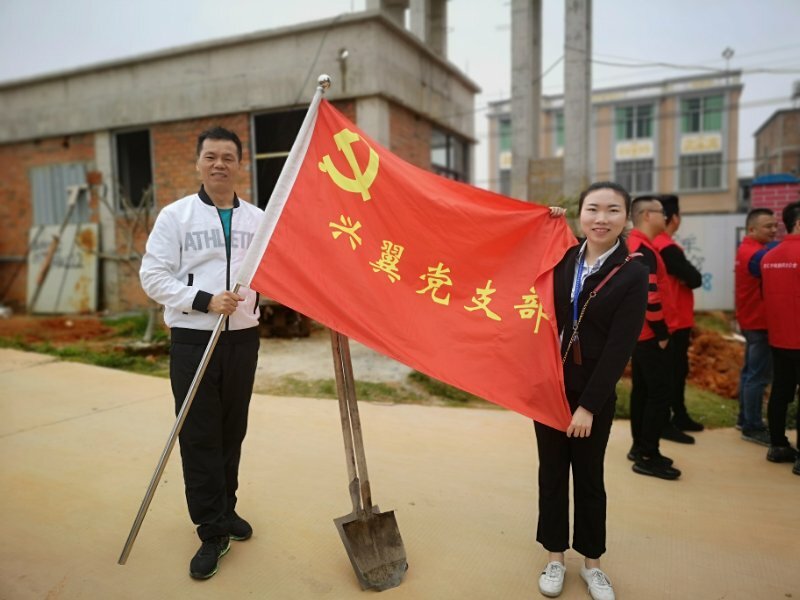 For the floor workers, Xingyi has never forgotten ''to make the global floor workers healthy, relaxed and happy work' 'The mission, Xingyi in the new year to develop intelligent and efficient grinding equipment, and at the end of the year held a "buy 10 units to send a year-end big feedback activities", the mission to the daily work. The quality of the product is the the most basic condition for any product to go abroad and go to the world. Quality affects the price of a product, the breadth and depth of sales. So it is obvious that the quality of the product is important. High quality is the basic condition for product sales, and the post-service of the product cannot be ignored. Nowadays, As many foreign buyers release their purchasing needs, one of them must be whether there is overseas after-sales service. Foreign buyers are very valued for the post-service of the product. Many enterprises seize the needs of customers and improve their services. However, service is the most difficult part of the development of many enterprises. Overseas services want to be better. First, the company’s funds should be sufficient. Second, the company must have professional maintenance team. Xingyi is a one-stop enterprise integrating R&D, production, sales and after-sales service. Since its inception, Xingyi has 124 patents and has a strong R&D team. The main parts of the machine are branded. 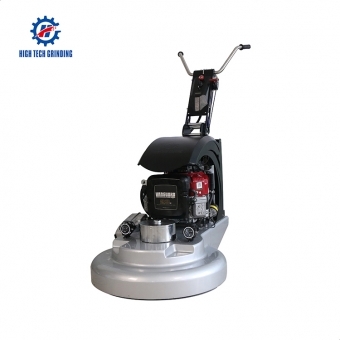 Each grinding and polishing machine will carry out 108 assembly quality control procedures; three strict inspection process has no third-party quality control . The quality of Xingyi's grinding and polishing machine is also affirmed by foreign customers. The customer's affirmation of our machine is the driving force of our efforts. Good service goes a long way, meaning good after-sales service, which allows our machines to be sold to all around the world. For example, When we buy large electronic equipment, we are mostly concerned about the cost performance of the product, followed by the after-sales service, how long is the shelf life? Is there any service related to equipment such as after-sales maintenance? Overseas buyers are also very concerned about this, especially for products such as grinding and polishing machines. Xingyi has after-sales service all over the world. We are not only selling grinding and polishing machines, but also selling metal grinding discs, resin polishing pads, what’s more,we have our professional project company. Xingyi's services is 24 hours online . Xingyi also has a strong after-sales service team. So far Xingyi service more than 5,000 companies customers worldwide, products sale to 123 countries. 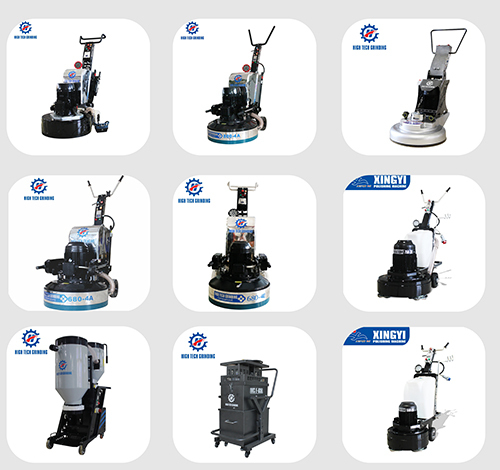 such as USA ,Canada, Chile , Singapore, Italy, Dubai, Arabia, Malaysia, Australia, Bangladesh, Thailand ，Philippines and Russia, Xingyi's achievements are based on high-quality machines, professional services, and customer recognition. Manually repaired holes are larger than 10mm, and cracks are larger than 1mm. It is also obvious from the holes and cracks that the ground is worse. Compared with machine repair, there are many tools for manual repair. The tools that need to be used are dust-free cutting machines, mixing electromechanical drills, aggregates and tools used in machine repair. 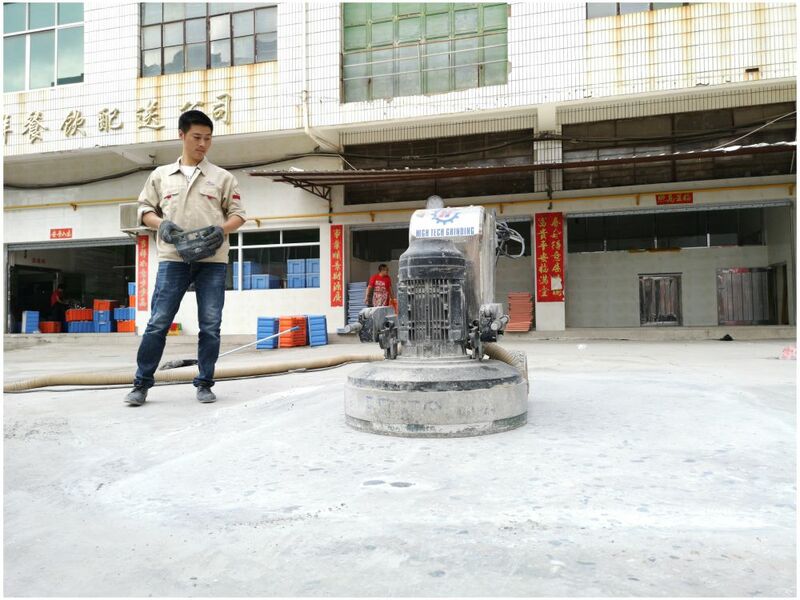 The specific steps for manual patching are: 一．Clean up holes and cracks on the ground to keep holes and cracks clean 二．Brushing holes and cracks with EC-1008 三.The repairing mortar is prepared, the holes and cracks are relatively deep, and it needs to be 四.repaired by means of mortar. The main raw materials for repairing mortar are three kinds, 五.EC-1008 repairing agent, water and mortar. After fully stirring with a mixer for 3-5 minutes, the repair mortar is filled in the holes and cracks, and the repair mortar is 1 mm higher than the ground. Check the repaired ground, fill the water with a watering can, and maintain the ground 3-5 times with misty water. After 2-4 hours, you can carry out the normal grinding process. Warm tips: 1.1-5mm holes need to be cleaned by engraving machine, and the engraving machine is cleaned more manually. 2.5-6mm cracks can be cut to width and depth, but the depth should be at least 10mm, preferably 30mm or more. 3. The hole with a width greater than 10mm and less than 50mm, the cutting depth is at least 20mm, the hole width is greater than 50mm, and the cutting depth is at least 50mm. Elaboration in craft, simplicity in the design. 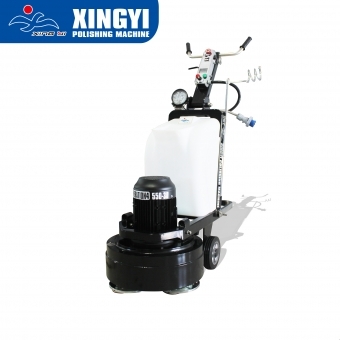 Xingyi machinery is committed to create a easy operation, but efficient grinding floor machine. Ingenuity in produce, initial in heart. 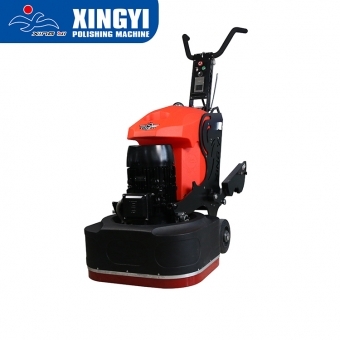 Xingyi machinery is pursuing to create a beautiful, clean and colorful living environment. What we hope to provide to you are a machine, a set of solutions, a package of life-long service. Xingyi machinery has been adhering to the spirit of craftsmanship. For this reason, xingyi machinery held the second "craftsmanship cup" competition on September 17th. The participants of this competition are global sales departments, domestic sales department, R&D departments and engineering departments. Xingyi machinery dedicated research and development production and sales of grinding machines, more than ten years like one day, on the quality of grinding and polishing machine strives for perfection, the pursuit of higher efficiency, more convenient grinding machine is research and development production, after is recognised by customers and industry, pursuit is customers to hing wing machine, hing wing service affirmation and recognition, can be seen from the scene of the photo, they completely with the spirit of artisan, scorching sun, they fight, fight in the field but also pay attention to the field of each process, each step will be the sloppiness of any operation, the operation of any. From this competition, we can see the great craftsman spirit of our team members. The great craftsman spirit is reflected not only in the project of developing and producing machines, but also in the process of using machines. 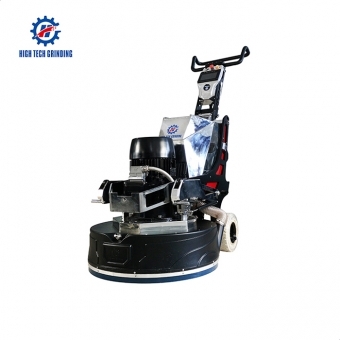 The machines for this competition include the ground grinding machine 800-4A, the HP-27 high speed polishing machine, and our great vaccum IVC-55A, complete set of universal testing kit, as well as auxiliary equipment such as the floor cleaning machine. It is worth mentioning that the main equipment and appliances for this competition are all the machines of our self-grinding production of Xingyi. The main parts and components of the machines are WEG -- (international brand), the frequency converter is delta, and 108 assembly quality control procedures. Three strict testing process, the quality is controlled by a third party, to say the quality of our machine is completely can trust, grinding and also our hing wing their research and development production, production machine and the function of the machine with your heart to the limit, to create a smooth light wear-resisting ground is every hing wing production machine of beginner's mind. 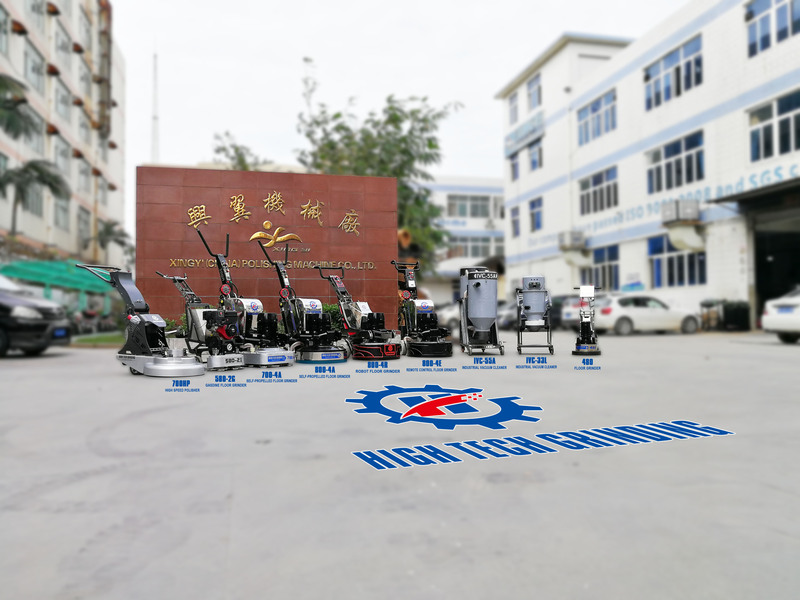 This competition is held in order to enable the staff to inherit the spirit of learning from the great craftsman and develop and produce the grinding and polishing machine with the dedicated spirit of the craftsman, so as to create a relaxed, healthy and happy working environment for people in the floor of the world. 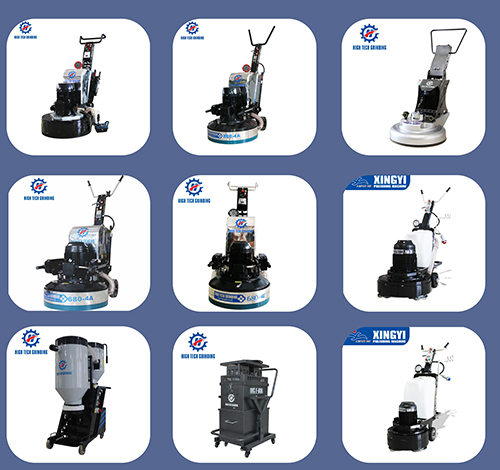 The main factor in the success of a business is attributed to a strong team Xingyi Factory had developed for 19 years,We are the one of the biggest system integrates which providing Full-floor polishing products and service in China.Not only we are a factory,but also have our own engineering company.Any questions about the machines or projects,we can give you a free technical guidence.We have a 34 foreign offices across the global so that we can provide an extremely details and customer support.Our annual international floor treatment seminar is more and more popular among famous connoisseurs.